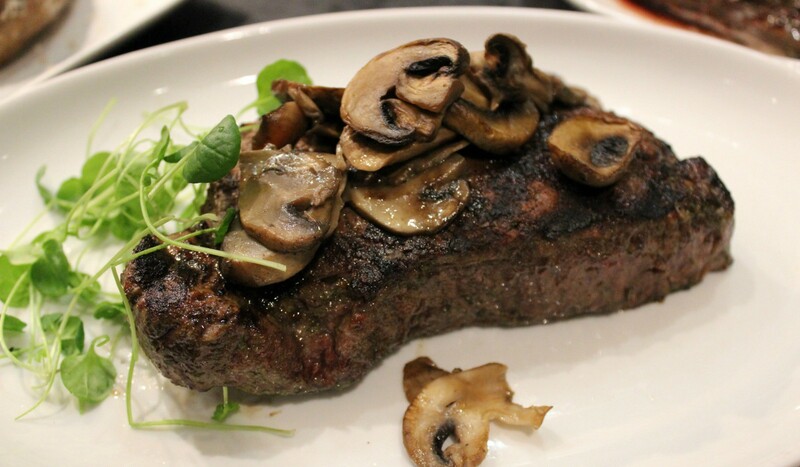 Gibbet Hill Grill is at the forefront of the local food movement. We are one of the only restaurants in New England that has a produce farm on site, and Chef Brendan Pelley shapes his menu around what is seasonally available. In the summer, the majority of our produce is grown right on our farm. We grow over 40 varieties of heirloom tomatoes, squashes and zucchini, heirloom beets, radishes, greens, peppers, beans, potatoes, specialty onions, herbs, and many other crops, all of which can be seen on our menu throughout the year. We keep a root cellar and have winter greenhouses in order to expand our growing season. In addition, we also source from other local farms and food purveyors to feature the best of what the region has to offer. We bring the farm to your fork, literally. Vermouth, fennel, tarragon aioli 14. Miso aioli, ponzu sauce 13. Preserved lemon mignonette, harissa cocktail sauce 18. Sugar snap peas, radish, pistachio dukkah 14. Jumbo lump crabmeat, Vermont cheddar 15. Quail egg, bacon snow, potato chips 14. Locally sourced cheeses, tomato soup 11. Sesame, soy, pickled carrot, cucumber 14. Black garlic aioli, hot red pepper puree 15. Herb yogurt, carrot tabbouleh, tahini 12. Caramelized fig, honey, spiced trail mix 18. Smoked bacon, cherry tomatoes, blue cheese dressing 11. Whipped feta, pickled mushrooms, kalamata olives, pine nuts 14. Little Leaf Farm greens, buttermilk ranch, cherry tomato, shaved carrot, cucumber Full 9. / Side 6. Pecorino cheese Full 9. / Side 6. Roasted chicken, Yukon gold potato, carrots, peas 18. Spring-dug parsnip puree, snap peas, baby carrots 26. Scallops, shrimp, bread crumbs, garden chives 31. Salt Meadow lamb ragu, English peas, mint 29. Mushroom risotto, pickled rhubarb, shaved radish 34. Slow cooked Angus beef, lamb, roasted root vegetables and garlic mashed potato 21. Spring vegetables, lemon, mascarpone 22. Arugula salad, truffled shoestring fries, bone marrow butter 27. Roasted asparagus, goat cheese polenta, pickled mushroom jus 24. Aged cheddar, secret sauce, lettuce, tomato, house pickles, toasted sourdough bun 16. Served with choice of two farm sides. Substitute a Gibbet Hill Salad 4. or Side Caesar 4. All Natural Hanger Steak 25. Hollis Hills Farm maple syrup 6. Fresh pasta, buttery bread crumbs 8.
garden herbs, olive oil 9.
add ice cream or sorbet to any dessert 2. Quail egg, bacon snow 14. Slow cooked Angus beef, lamb, roasted root vegetables, mashed potato 21. Mushroom risotto, red watercress, radish 34. Gibbet Hill Grill's Cocktail Menu evolves seasonally, and during harvest season, you will see much of our cocktail menu ingredients come directly from our farm. Local distillers, creative recipes, house made syrups, and tinctures shape our specialty cocktail list. At Gibbet Hill Grill we believe that wine should be considered a regular part of every meal, and that a wine list should not be pretentious or inaccessible to anyone. Subsequently our wines are all carefully chosen to provide both quality and an excellent pairing for Chef’s food. The wine list maintains its own set of core values, and all the wines fall into at least three of these categories to even be considered. We are pleased to offer a variety of private dining options at Gibbet Hill Grill for you to host your next business meeting or special event. Please don't hesitate to contact us to discuss your event needs, however big or small. This second level of the restaurant can accommodate parties of up to 40 people creating a private venue for your business dinner, family gathering or rehearsal dinner. The restaurant can be reserved privately for a daytime event of up to 100 people. This option is ideal for corporate luncheons, small weddings, bridal showers, baby showers, birthday parties, anniversary parties and bereavement receptions. 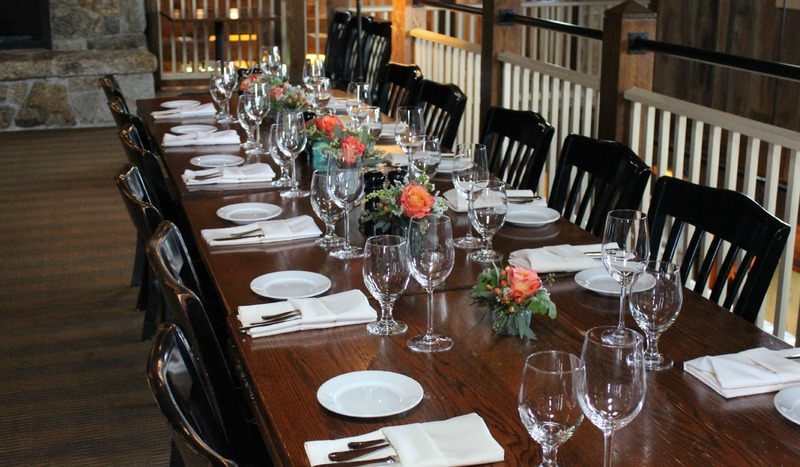 For special occasions of up to 8 people, our private silo room is perfect for intimate dinners or small meetings. Martha’s formal education includes studying accounting at Babson College, but after one too many audits, she realized she needed to be around more people and less paper. Moving to Marco Island, Florida, she began her career in the restaurant industry and also spent some time as a mate on a parasail boat. Having successfully shunned the stress of corporate life for six years, she returned to Massachusetts and rediscovered her high school sweetheart. Celebrating their fourth wedding anniversary at Gibbet Hill Grill, table 28 to be exact, she told her husband, “I love the energy in this room, I could work here.” The rest is history. Martha joined the team in 2005 and was promoted to general manager in 2015. Known most recently for spearheading the Boston trend of modern Greek cuisine as chef de cuisine at Doretta Taverna and his pop-up restaurant Pelekasis at Wink & Nod, Chef Brendan Pelley has also long been known for his commitment to using local, sustainable and organic foods to influence his cooking. Chef Brendan has achieved an impressive list of accolades including Rising Star Chef by Improper Bostonian, Best in New England from Yankee Magazine, as well as several Boston Magazine Best Restaurant awards during his chef tenure in Boston. He has had the honor of twice being a featured chef at the legendary James Beard House in New York City and competed on FOX television’s Hell’s Kitchen as well as Food Network’s Beat Bobby Flay. When he’s not in the kitchen at Gibbet Hill Grill, you can find him hiking and foraging for mushrooms with his family in and round his native town of Chelmsford.